Post by Flanders Peace Field. The Global Peace Games features schools from Belgium, England and Germany. Hosted by the Peace Village, Messines, Belgium, the week long EU funded event, 16th September, 2014, is inspired by the Christmas Truces. The NCFA will be supporting four schools from England taking part in a series of activities including: football, rugby, cricket and cycling. Pending funding it is hoped that the GPGs will link up with the Peace Fields Project, celebrating peace and commemorating the First World War. In more than 40 countries, they are already a tradition: the Global Peace Games (GPG). An initiative from the United Nations to attract attention on peace initiatives through sports. Starting from 2014, Peace Village wants to start an annual Flemish edition on the Flanders Peace Field in Messines, next to the place were football was played 100 years ago, during the “Christmas Truces”. Our target group are youngsters from countries who participated in the Great War. The peaceful nature of this site, located in the shadow of the Peace Tower and overlooking the Douve valley, gives this event an international appearance. Flanders Peace Field, the educational sister of the Peace Village hostel, in Messines wants to remember the 100th anniversary of the Christmas Truces to offer international projects concerning peace and sport. During the Christmas Truces of 1914, soldiers came out of their trenches to play a game of football against each other on the field of No Man’s land. The senior officers had many difficulties to shut down the Truces and to convince the soldiers to start fighting again. This extraordinary event shows the power of football and sport, even in times of war. And this is what Flanders Peace Field wants to promote. And bring youngsters from different countries together, learn from the past, play sports together that leads to peace education and community building. The Global Peace Games for Children and Youth (GPGs) – founded by PLAY SOCCER Non profit International (PSNI) in 2001 – is the first global “grass-roots” event to celebrate the contribution of children and youth to the achievement of the United Nations goals for peace, non-violence and human development, and to unite their voices and support through the universal language of sport. Locally organized and financed by grass-roots communities, the Games feature friendly sporting events and football/soccer matches that give children and youth an opportunity to lead and personally commit to global friendship and the United Nations Millennium Development Goals. Thanks to the joyful, global digital network that children and youth now use to connect to each other across the world, the impact and success of the GPGs continues to grow every year. In 2013, the Games were celebrated – and digitally shared – by thousands of children and youth in 35 countries across 6 continents. Fuelled by a wellspring of support from hundreds of volunteer and civil society organizations committed to peace education, the GPGs are free and open to all. Connecting and uniting children and youth from places as diverse as the Palestinian Occupied Territories to California and the rural communities of Kenya, the GPGs provide a low-cost “grass-roots” organizing structure that empowers local organizations, brings communities into the global media spotlight, and engages children and youth to place collaborative, peaceful values at the heart of both the local and global agenda. Individual countries often dedicate their games to themes that advance the objectives of the United Nations, and enliven them with both traditional and innovative educational performances of music, art,dance and poetry. PSNI is proud to have provided international leadership for the Games by distributing invitations and instructions for participation and by producing the Annual Certificate of Participation and Report, which is posted on our website. The Games would not be possible, however, without the inspirational leadership of our grassroots partners – the many organizations, schools and individuals who work tirelessly to bring the Games to their communities. This report includes a list of all registered organizations, summaries of their reports, and photos selected from the many wonderful pictures sent. All the photos contained in this report are the property of these organizations. This project came to a close starting from the story of the Christmas Truces and WWI. By organizing this under the name of the Global Peace Games, this event gets an international dimension and is it also in conformity with the norms and values ​​set by the United Nations. During this 5 day program of sport, games, education and remembrance, we want the pupils to re-experience how to overcome conflict through sports and dialogue. It is like a tribute to the young people / soldiers who fought during WWI. 100 years later, instead of fighting, we play sports and reflect on what happened back then. In addition, we also want to make the connection to the contemporary conflicts (large and small) in our society, both within and outside Europe. We also want to consider the role that sport can have in this type of conflict. Overall, we want to stimulate/ strengthen the thinking process on micro-level from the participating youth. The overall ambition is related to the statement that we want to make. A statement we will develop during the 5 days, together with the pupils. We aspire to advance something more concrete than ‘no more war’. But the project itself is also a statement: 100 years later we prefer playing sports together than to fight each other with guns. That is our “message for peace”. The common thread throughout this event is sport. Each school will represent sport popular in their country. The UK will represent rugby, Germany football and Belgium cycling. In addition, and in collaboration with the Belgian Cricket Federeation, a fourth sport will be added: Cricket. Cricket is, next to football, the biggest sport played in the world, but in our cultures relatively unknown. Together with professional cricket players, the pupils will learn all about this sport. The participants are young people who attend school in the Fourth and Fifth Form (age equivalent: 14-16). The participating nationalities are the countries that were most present during WWI on our Belgian soil, namely: British, Germans and Belgians. “1914 Mitten in Europa” is project of the local authority of the Rhineland (Landschaftsverband Rheinland) for the commemoration of World War I and the communication of the history of the time of the Great War. The project involves many exhibitions and educational projects. In one of the educational projects – “Searching for traces of 1914” – students from Belgium, France, Poland and Germany researched on the history of World War I and created a virtual and several analogue exhibitions. During the project the students met in Messines and visited the sites of World War I in Flanders. NCFA seeks to protect children and to secure the most enjoyable, developmental and child-centred football experience when they play. NCFA create playing environments and formats which allow all children to reach their full potential in football and play the game without prejudice. NCFA eliminates factors which cause boys and girls to drop out of football and they promote football for fun throughout childhood. 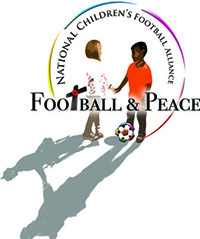 Ultimately, the NCFA’s aim is to protect childhood through football. The NCFA’s extended children’s focused organisations form a vital network of partnerships sharing best practice in all stages of childhood. The NCFA will be accessible to all communities seeking advice on the children’s game. Globally, children contribute immeasurably to the game of football’¦as players, as fans, as workers and in many other ways. Without doubt, the power of football to be an influential and dominant force for good in the daily lives of children worldwide is enormous.